Caption slip reads: "Photographer: Monteverde. Date: 1959-03-26. Reporter: Meade. Assignment: Union Station-departure of Kid to San Diego Zoo. 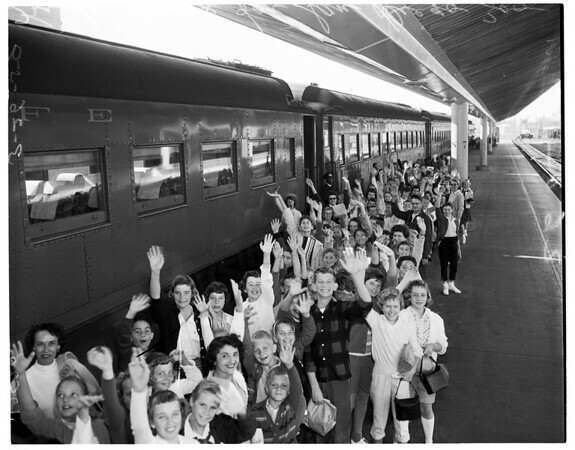 25/26/46: Kids getting on train, etc. 3 negs".